Recently we highlighted local nonprofits who are combating inequality and environmental degredation – two areas that are expected to continue to impact the sector. This week, we tackle diversity and new generations of leadership. We’ve collected some examples of organizations in the Richmond and Tri-cities area who are working to make the sector more inclusive and to prepare new generations for leadership roles. 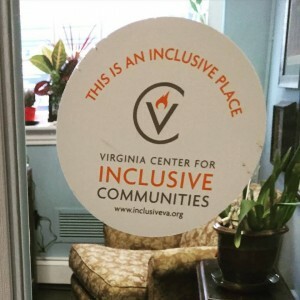 Enter the Virginia Center for Inclusive Communities. Their mission is to “work with schools, businesses, and communities to achieve success through inclusion.” One of their initiatives – Professional Development for Organizations – includes diversity and inclusion consulting, issue-specific support, leadership development, and more. This year, they launched the Workplace Inclusion Network (WIN), which “convenes professionals who support or lead diversity and inclusion efforts within their organizations.” Organizations can register at various membership levels for the calendar year, with luncheons every other month. The next WIN meeting is on Wednesday, August 12th and focuses on “Supporting Women in Leadership”. The 2016 calendar will be announced and registration opened in November 2015. Individual luncheon attendance can be arranged for $50 per person. Email contact@inclusiveva.org to learn more. Is your organization taking steps to be inclusive? VCIC’s “This is an Inclusive Place” decals are available for free for anyone who requests one. People are also invited to post pictures of the decals in various places using the hashtag #inclusiveplace. VCIC also works closely with youth in schools to promote inclusivity. The Harold M. Marsh, Sr. 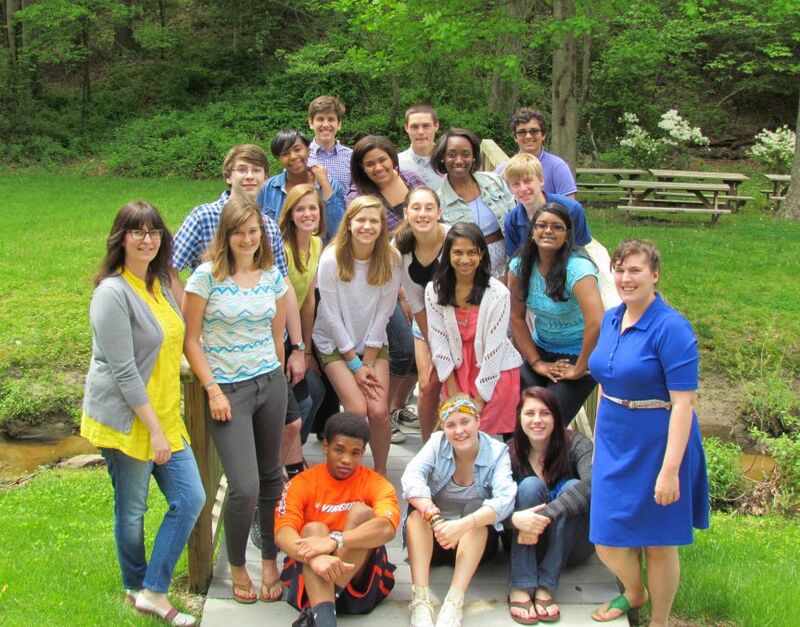 Connections Institute gives high school students an opportunity “to break barriers, deal with biased behavior, and develop an action plan to reduce prejudice in their schools.” It culminates in a week long residential program during the summer (underway) and extends into students’ sophomore, junior, and senior years. As their signature Emerging Leaders program, Connections takes on another trend as well, preparing the next generation of leaders. The Virginia Anti-Violence Project works to address and end violence, with a specific focus on lesbian, gay, bisexual, transgender and queer communities across Virginia. They are working on projects to expand sexual and domestic violence services to the LGBTQ community in the Richmond area. This work is being done with six other community partners including: Southerners On New Ground, ROSMY, Safe Harbor, Services and Advocacy for Gay, Lesbian, Bisexual and Transgender Elders Action Alliance, and Fan Free Clinic. The VAVP partnered with The Virginia League for Planned Parenthood (VLPP), and Minority Health Consortium (MHC) on a six-session class about healthy relationships. VAVP’s relationship skills class is a six-week course that builds the skills to clarify values, set boundaries, resolve conflict, foster communication, understand cultural differences and strengthen community connections, with the first class starting on August 19th. Here are some examples and takeaways for engaging the next generation of leadership and how nonprofits are preparing with succession plans. John Sarvay of Floricane wrote about Developing People for Tomorrow’s Workplace in our From an Expert series. In it he lists 5 professional development activities organizations can use to train new leaders for management positions. The Youth Philanthropy Project (YPP), a partnership between HandsOn Greater Richmond and The Community Foundation provides high school aged youth an opportunity to engage through service, leadership, and grant making. Erin Osiol, Program Manager, says, “One of the primary goals of YPP is to provide the youth with an opportunity to grow and develop some of the soft skills we know are so important in leadership- empathy, emotional intelligence, self-awareness, critical thinking, effective communication. Using these skills as the backbone of our program, we help youth explore our community, and youth not only begin to understand the challenges our region faces, but possible solutions. As one YPP alum said, ‘Before YPP, I had a lot of ideas and opinions about change and how it should be implemented, but now I know how to make those ideas a reality. 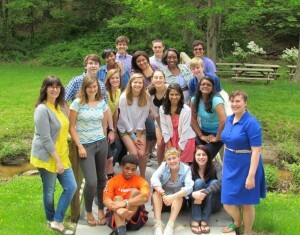 YPP has brought new resources, inspirational people, and enriching activities into my life. I am very confident in knowing that I can make a difference in Richmond, and in every community I am a part of in the future. 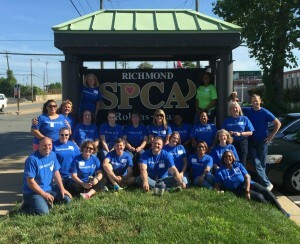 '” Area youth meet monthly, October through June, to engage in leadership studies, service activity planning and implementation, and grant-making activities to award $15,000 to youth-led community service projects in the Greater Richmond area. Richmond Peace Education Center (RPEC) has a team of teenage program leaders who teach other youth ways to resolve conflict peacefully. Since 2006, the teens have co-led conflict resolution trainings with more than 750 other youth across the region in a variety of settings, including community centers, after-school programs, and Richmond Public Schools. Nonprofit Learning Point’s Emerging Nonprofit Leaders Program gives the rising stars of the nonprofit world an opportunity to grow in their leadership skills, and is accepting applications through Monday, August 10th. An upcoming class, “Managing Up and Leading When You’re Not in Charge” teaches young professionals how to develop effective relationships with their supervisors and to develop leadership skills outside the scope of a management position. 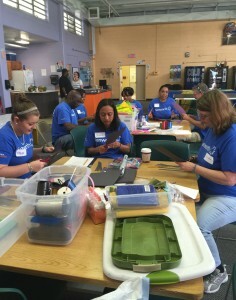 Organizational Solutions’ Board Immersion Program introduces aspiring nonprofit leaders to board service and connects them to nonprofit organizations seeking new talent, allowing them to “try it out” without making the commitment to a full board term. One of the many benefits is mentorship and advice from experienced board leaders. We know it’s not easy to find the time to peer through the periscope to check out the future of the sector above the ocean of things on your to-do list. 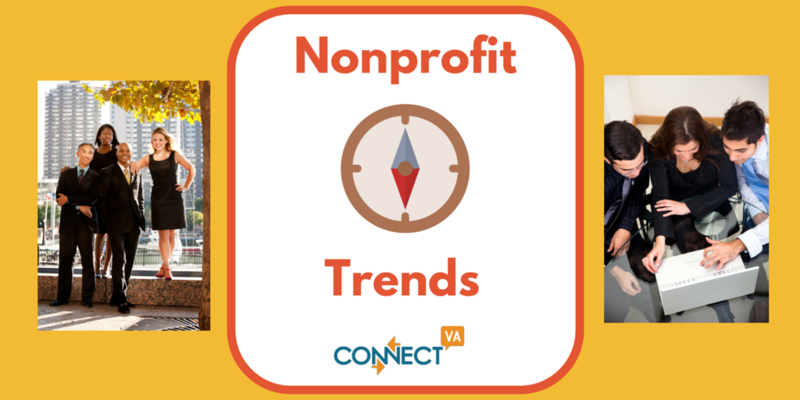 That’s why we’ll be showcasing trends you should know about in a series inspired by Independent Sector’s Nine Key Trends Shaping the Future of the Charitable Sector, Keep the conversation going by sharing your thoughts and ideas in the comments, or choose one our Community Discussion Forums. ConnectVA Spotlight: David J. Duck, Hanover County Department of Community Resources →	← ConnectVA Spotlight: Shareta Berry, Driven 2 Destiny Outreach Center Inc.